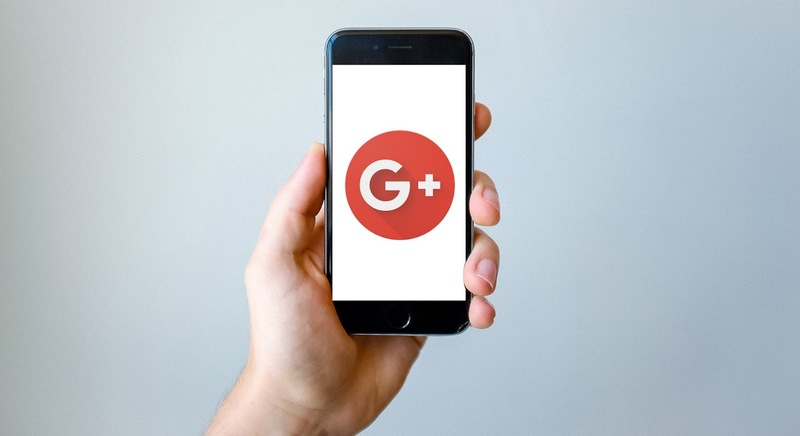 Have a Google+ profile? Here's what I think is the perfect setup for notifications. 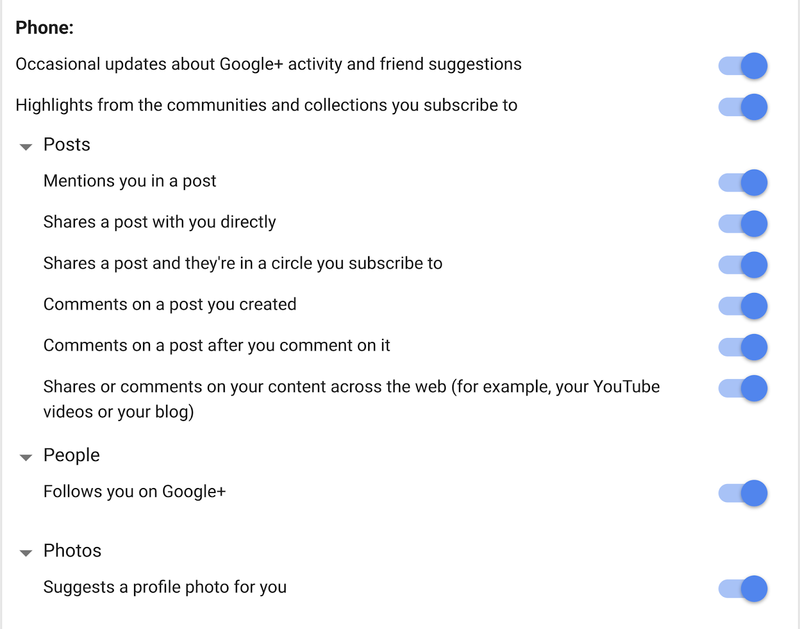 Right at the top of the settings page are the options pictured. Change "Who can send you notifications?" to Anyone. The default for who can send you notifications is restricted. Think of this setting more like how Twitter works, where you will get notifications from anyone who @mentions you. Like Twitter if someone sends you a notification that you regard a spam you can use tools like: mute or block. 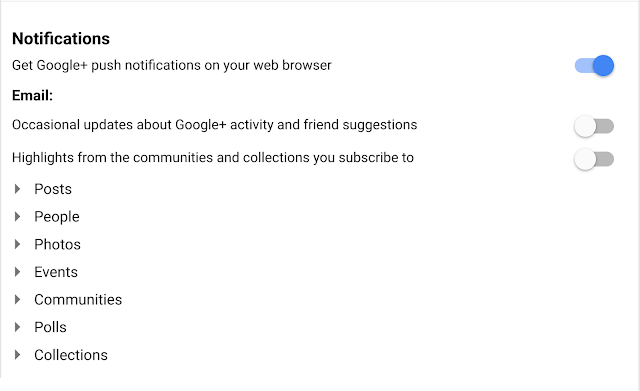 Get notifications on your web browser. Flick the switch to blue to turn browser notifications on. This means you will get GooglePlus notifications when you are browsing other websites, as long as you are signed in. 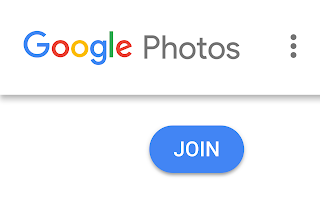 Google websites, apart from Google's spoilt child YouTube, all have the "One Google Bar" where you can see, read and respond to notifications. Turning browser notifications on means you'll be notified when someone shares a post directly with you or mentions you in a post. I have all email notifications OFF. As mentioned if you are used to or like using email you could choose differently. I have ALL mobile notifications set to ON. With a couple of exceptions. 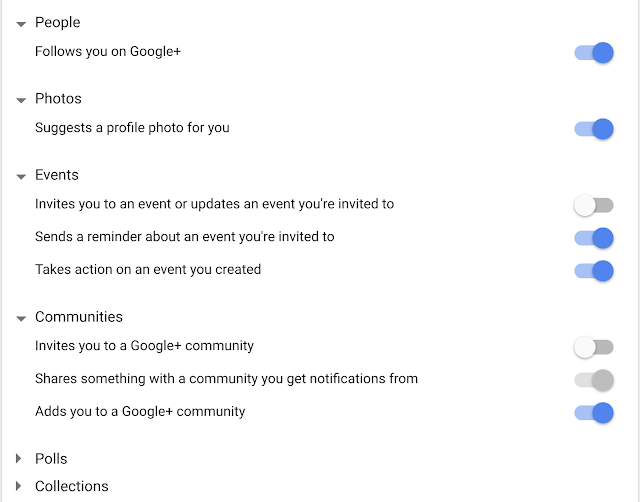 Event and Community invites can be a bit spammy, as people create an event or community and work overly hard (aka: spam) to to get people to join their new event or community. You might want to try having everything including those switches set to on if you are a new user, but for old hands with a larger network I would recommend having those to switches turned off. 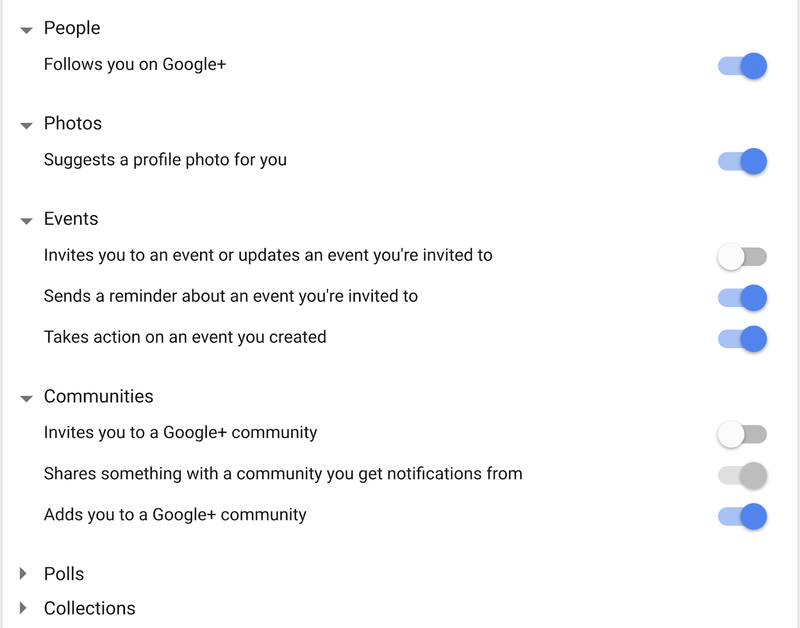 NOTE: to see all the switches you will need to expand the choices: People, Photos, Events, Communities etc. That's it really. Now you're all set!